Given her needs, the owner/operator was skeptical she would find an ingredient solution that would meet them all without compromising the quality, texture or flavor of her original cheese sauce. Grande Bravo® Functional Whey Protein was a pleasant surprise. How Could Bravo Make an Impact? Traditional cheese sauces can be one of the pricier items in a dish. The owner/operator was feeling its impact as she tabulated ingredient costs, but she was hesitant to make changes to her popular recipe. Our team of experienced food scientists presented her with results from similar scenarios in which Bravo, a natural ingredient, was successfully substituted for a portion of cheese in a sauce formulation to help manage expenses. We recommended the same approach for the sauce in the macaroni and cheese application. The new formulation was well-received by restaurant customers. 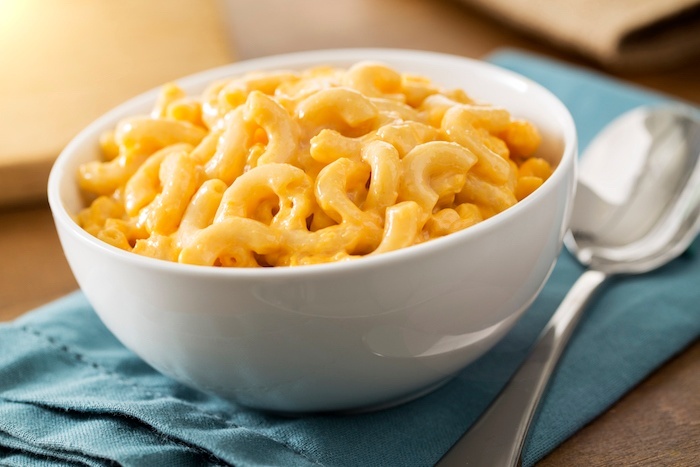 Even those who routinely ordered the macaroni and cheese couldn’t tell in the difference, and the owner/operator felt strongly that the new recipe was superior to the original containing full fat, cheese and caloric content. She was so pleased, in fact, she committed to using Bravo in additional menu items, confident she would experience the same results. Explore more about the benefits of whey proteins — including their natural properties — in How Why Protein Helps Food & Beverage Manufacturers Clean Up Their Labels. Click the button below to download your free copy.